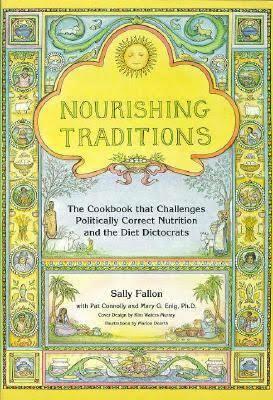 Nourishing Traditions: The Cookbook that Challenges Politically Correct Nutrition and the Diet Dictocrats. From the cover flap: This well-researched, thought-provoking guide to traditional foods contains a startling message: Animal fats and cholesterol are not villains but vital factors in the diet, necessary for normal growth, proper function of the brain and nervous system, protection from disease and optimum energy levels. Sally Fallon dispels the myths of the current low-fat fad in this practical, entertaining guide to a can-do diet that is both nutritious and delicious.